If you own a Holden or Honda, or whatever you are currently driving, you can rely on a completely mobile mechanic available at the time that suits you best to carry out industry leading repairs and service work to your vehicle wherever you need us to be. Happy clients have already given us over 30 positive reviews right across Australia. 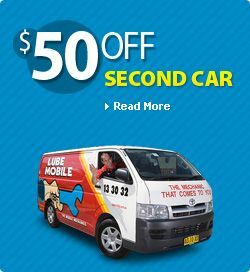 Find out how convenient repairs and service work can be with one of the 39 mobile mechanic available in Eastern Melbourne where and when you need them with Lubemobile. As a returning customer I have been happy with Lube Mobile's work from the first time and will use their services again. Staff are friendly and informative for the job at hand. Great Work. The mechanic George was excellent. Provided update on his arrival as there was a delay. Very thorough in explaining the work to be completed and stayed quite late to ensure the job was finished and we were back with a car! ! We are Lubemobile, the fleet of mobile mechanics providing high quality vehicle services all over Australia and available wherever your vehicle needs us. For cars located in Officer, you can have a fully equipped mobile mechanic at your preferred time for a full service, including parts replacement. We fully service your local area including Clyde North, Nunawading and Lilydale. 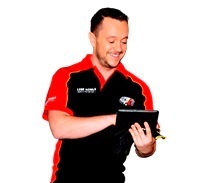 Lubemobile’s fleet of mechanics have serviced over 1,088 vehicles in your area throughout the past 3 months and the most common type of vehicle service in your area is Log book servicing. As completely mobile vehicle specialists, our fleet will arrive fully stocked to tackle any kind of service that your car requires including resetting warning lights , on-site tyre replacement from our fleet of specialist tyre services, and replacing leaky radiator hoses. Your mechanic will arrive at your preferred location with everything they need to service your vehicle. When we say ‘mobile mechanic’ we really mean it. No matter the make and model of your car, we guarantee that the professional who arrives at your job will have what they need to complete a full service, on the spot. Most recently, our mechanics have commonly serviced Holden, Toyota and Ford. All vehicle types are serviced on location so there’s no need to have anything taken into a workshop. Our most recent services in your area have included Land Rover, Seat and Peugeot. Fully equipped mechanics mean that whatever is required for your vehicle is available quickly. We use only the highest quality parts like catalytic converter, gearbox and coil pack.